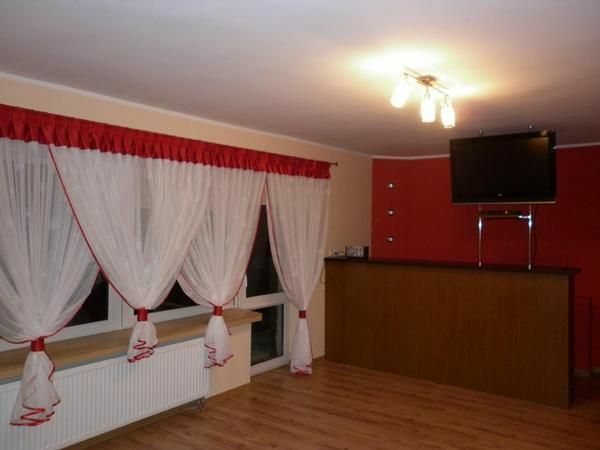 The apartment ,, Amelka "is 100m2 and is located on the first floor of the three-story building. This is practically furnished and nicely furnished apartment. It is a good solution for people who appreciate comfort and good quality. Accommodation is well suited to family or friends. Outside there is of course a parking lot, playground for children, a large green area with benches and a barbecue. The whole building is finished. In the whole building is a free wifi. - Interim cleaning: once per object costs in the amount of 20 EUR (optional). Interim cleaning (once per object, costs EUR 20).